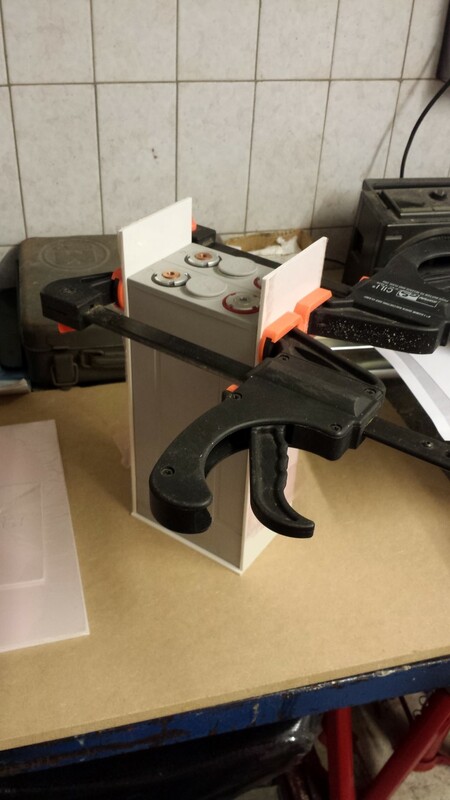 Just as I thought, the last battery box is pretty hard to make. 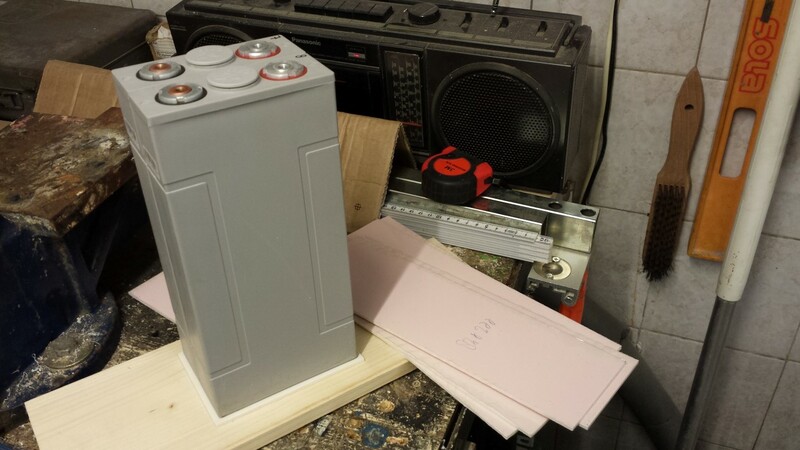 The sizes of the plates really have to be perfect for this one otherwise the batteries won't really fit well. But 2 plates are already glued now. Will take me 3 days to complete this one though since there are more plates than with the other boxes. 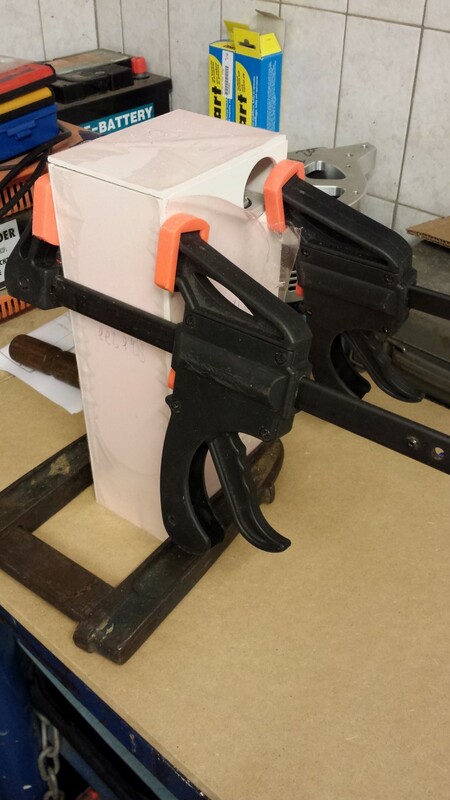 Can't glue everything at once as the plates might move a bit because of the clamps. Hope to be done with all the boxes in the weekend. Then I will glue them all one extra time on the inside and weld them from the outside. But they're still not ready then, the higher parts for the cable glands still have to be added around the holes. 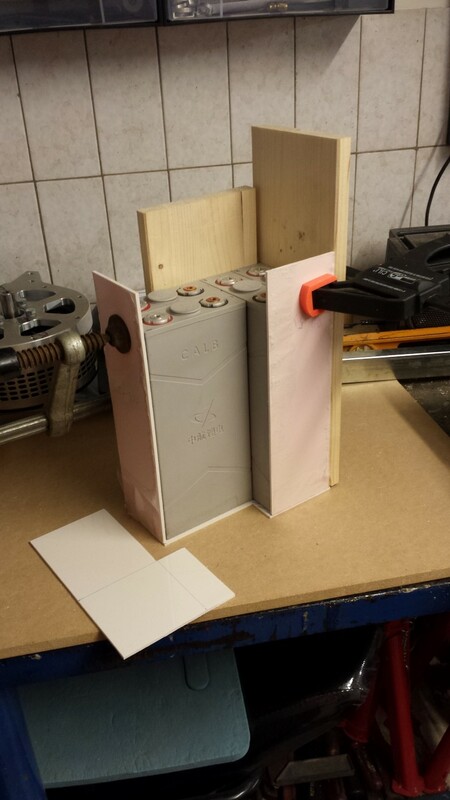 And the clamps to keep the batteries in place with all the holes to attach the covers. And some EPDM rubber inbetween. Think I'll still be busy with this for another week or two. 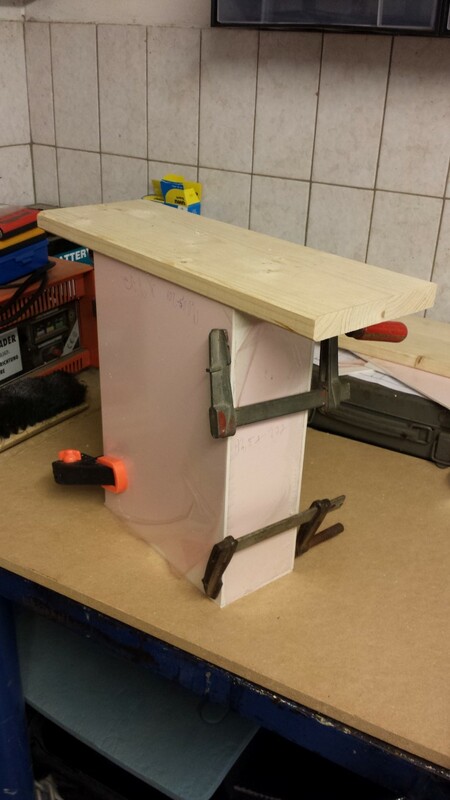 The 3rd battery box is all glued up now. 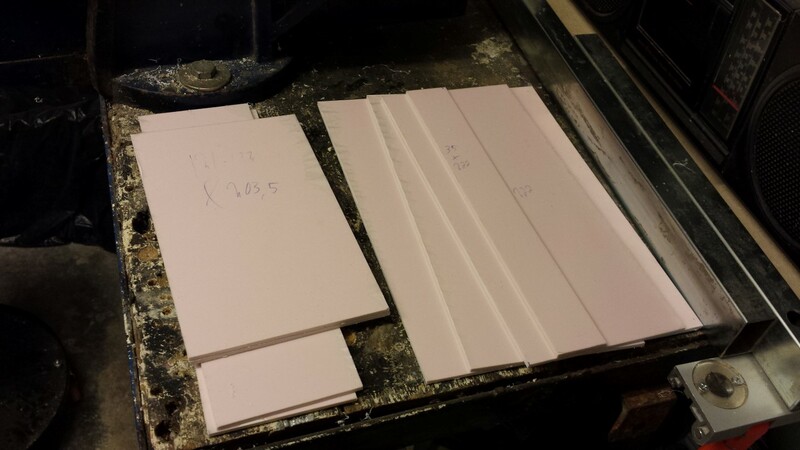 And the plates for the last box are sawed. This one will be the most difficult to put together since it isn't just a rectangle, there's another corner in it. But I think I'll succeed with that as well. 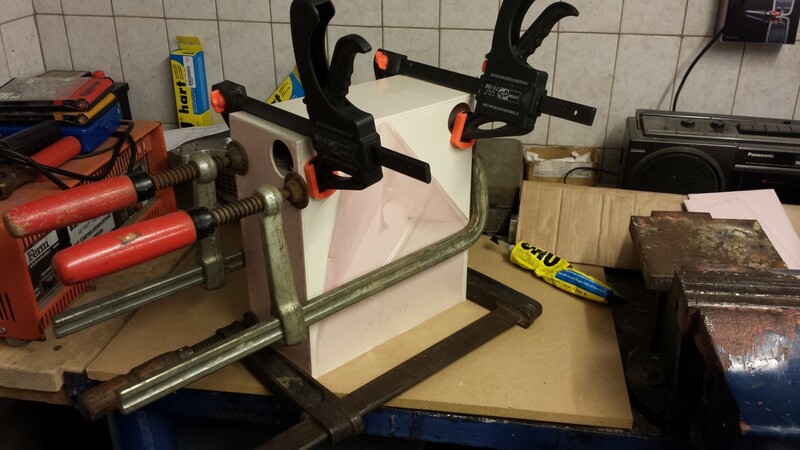 The 3rd battery box is being made as well now, first 2 plates are glued. 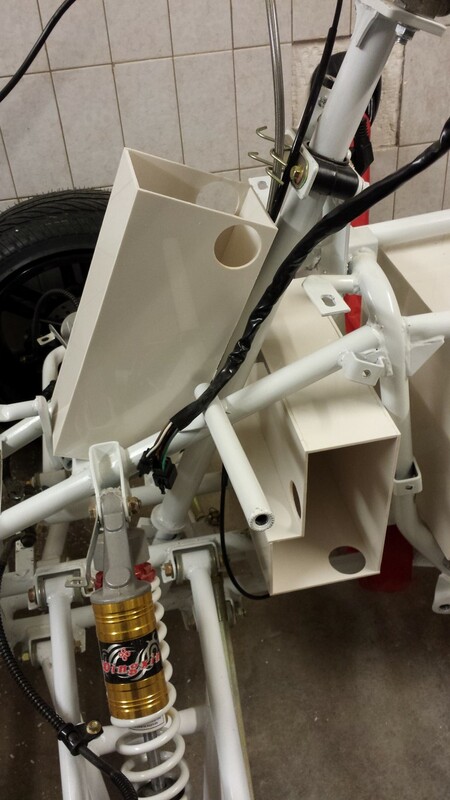 And here you can see how the first 2 battery boxes will be placed. They barely fit, but there's still some space if I'd have to add some aluminium L-profiles around them. In any case, there will have to be quite some welds on the frame to be able to attach them. 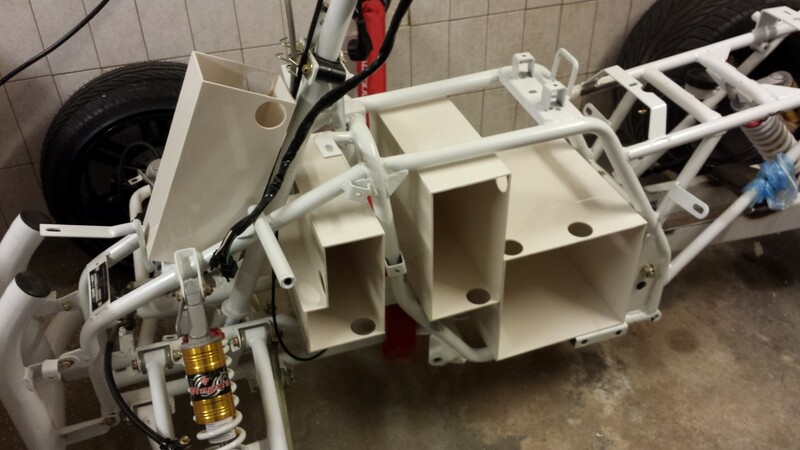 Today I had to place the fenders on the frame again to see on which side I'd have to make the holes for the cable glands in the 3rd battery box. 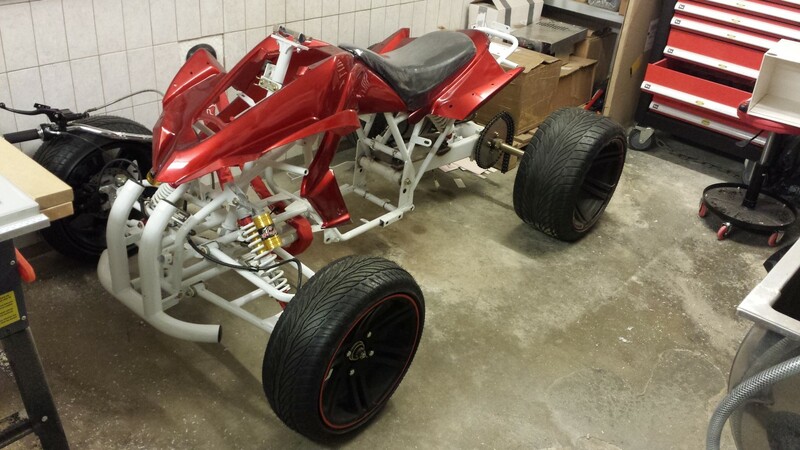 Took a few pictures of the whole quad bike. 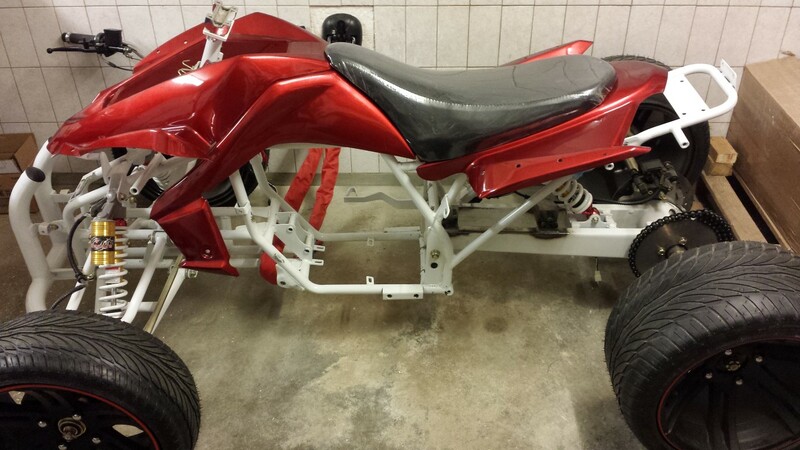 Think it looks pretty nice, the white frame and bordeaux red fenders. I was first planning to spray the frame black but now I think I'll keep these colors, only the frame will be matte white instead of the shiny white it is now. 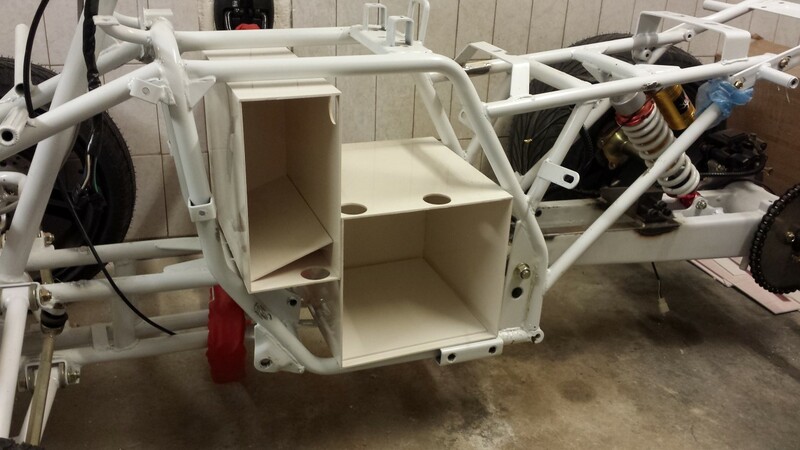 But back to the battery boxes again. For box #2 I glued the last 2 plates. Will have to let this harden again. 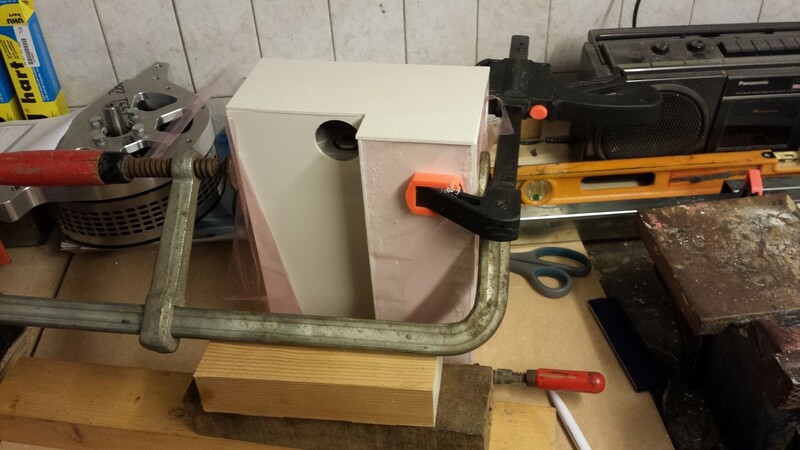 For box #3 I sawed the plates but can't glue them yet, didn't have enough clamps left. So I can't do this untill tomorrow.